Summer is upon us friends! My daughter informed me today that she has exactly 13 days of school left. Seriously, where does the time go? I am excited about summer break, almost as much as my kids, but I know it is going to be a busy season. My kids seem to have endless energy especially when they are outside with friends in warm weather. I have a plan to keep up with them while still enjoying an afternoon treat. 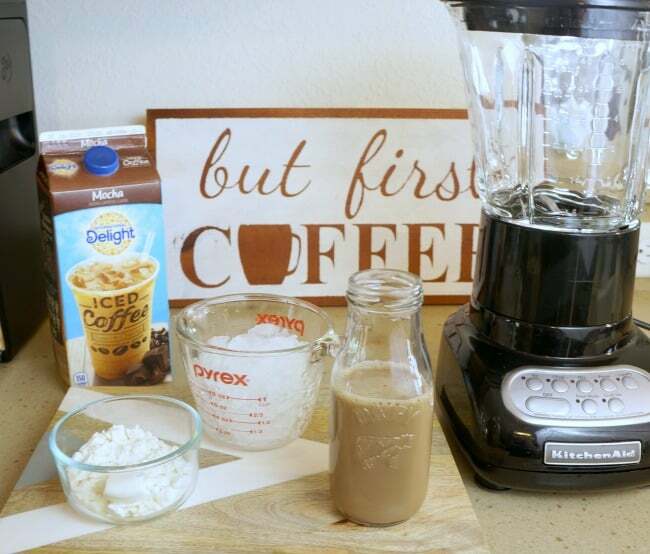 I am sharing a favorite recipe for a frozen protein coffee shake. This shake is not only delicious, it fuels my day and helps me keep up with my kids. 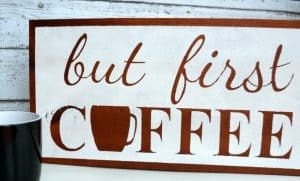 You have read about my love for coffee and how I like to have a coffee treat in the afternoon. 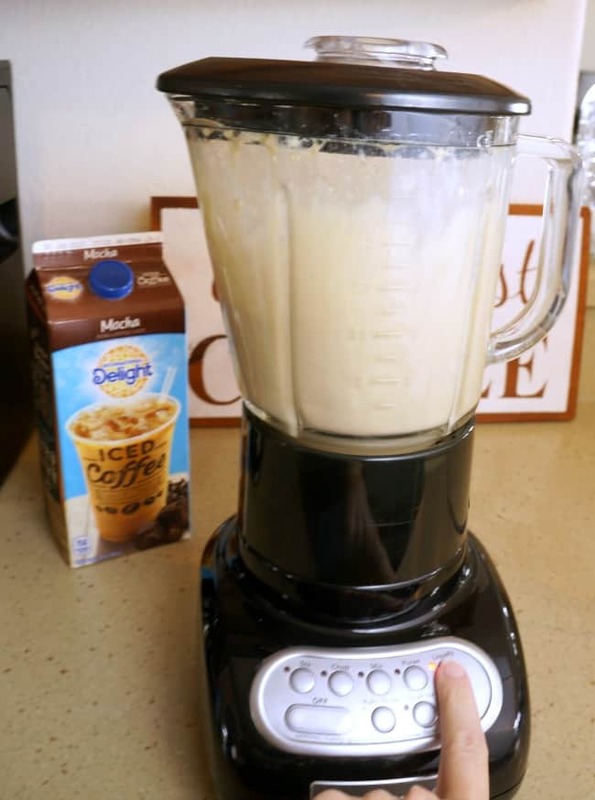 I have been making a version of this shake for a while to fit that bill, it combines a few simple ingredients to make a smooth and frothy drink. 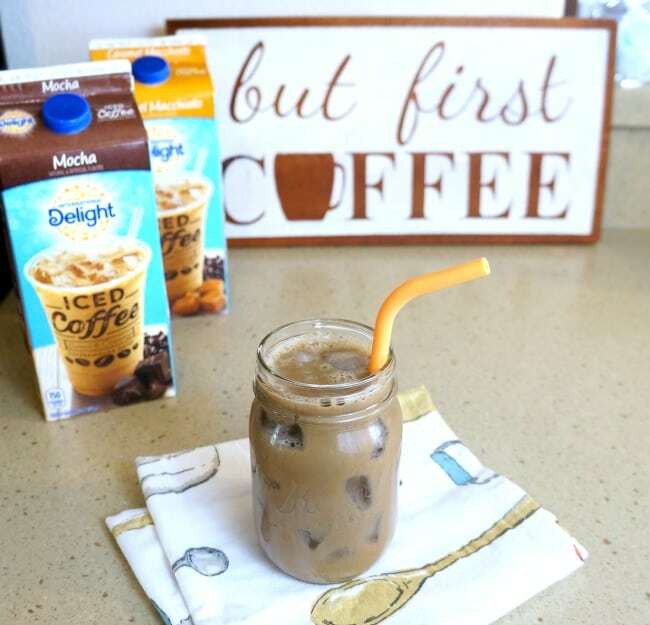 This recipe uses International Delight® Iced Coffee making it even easier whip up. 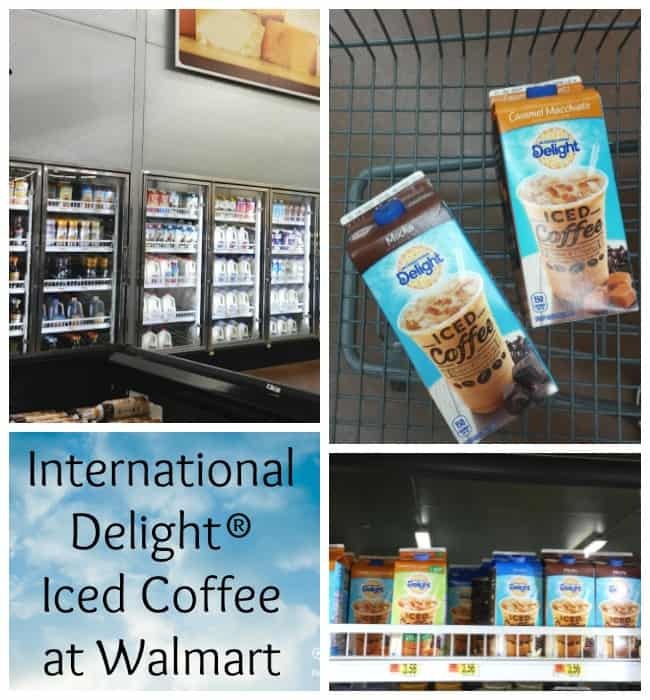 International Delight® Iced Coffee is a fridge friendly ready-to-drink iced coffee that comes in 3 delicious flavors; Mocha, Caramel Macchiato, and Vanilla. It goes down smooth in a glass over ice and works well in recipes too. 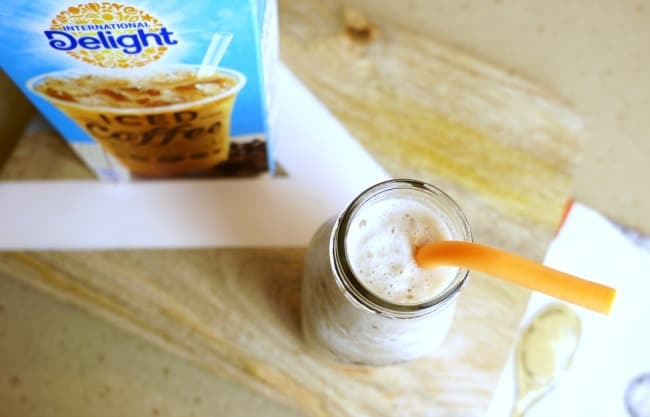 I picked up 2 of my favorite varieties at Walmart to make this protein coffee shake. I use a creamy vanilla protein powder, but you can substitute any flavor like chocolate or even strawberry. Sometimes I add a little cinnamon or nutmeg to this recipe for an extra kick. When you try this at home, test out a few different flavor combinations to find your perfect fit. 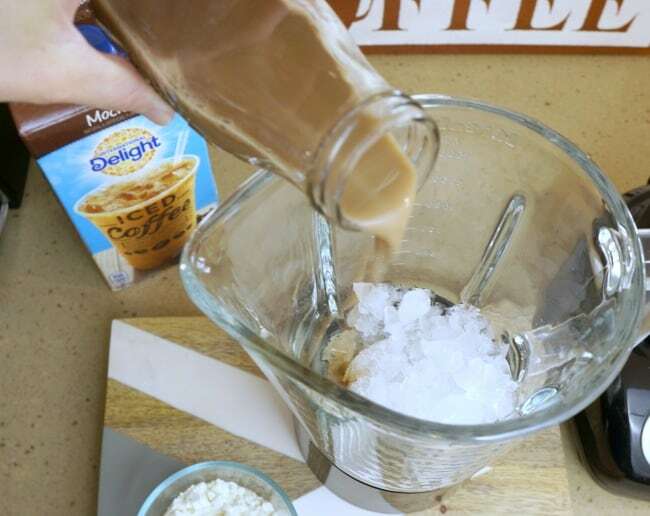 The International Delight® Caramel Macchiato Iced Coffee tastes amazing in this protein coffee shake too. Making this at home, versus buying an expensive frappuccino from a coffee house, has so many advantages. First of all, I don’t have to leave my house! Always a plus with 2 small children in the throws of a summer adventure. 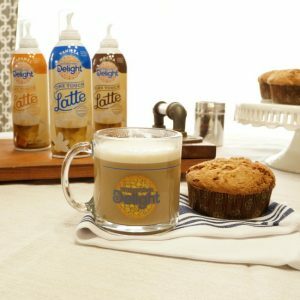 Using International Delight® Iced Coffee is affordable and convenient, I can enjoy a coffee house drink at home without the hassle. Plus I get the added protein boost that fuels my body during an active day with my kids. This protein coffee shakes fills me up and perks me up at the same time. 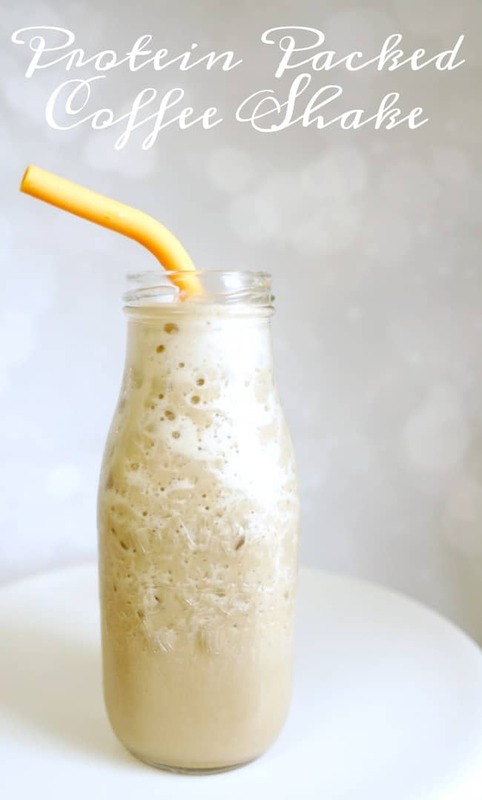 This is a drink you will want to keep on rotation this summer, it’s cool and refreshing and will keep you fueled no matter what your day holds. 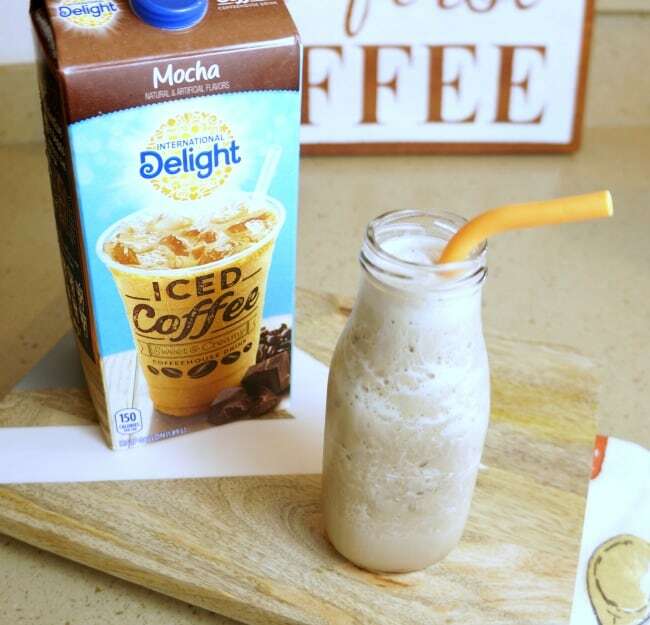 Get more International Delight® Iced Coffee recipe inspiration here, and tell me what kind of protein shake you will make to fuel your day? Sounds delish! 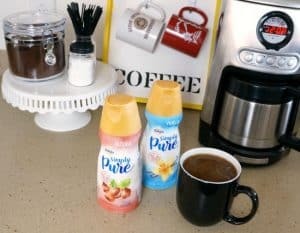 I love that it will caffeinate you and also keep you full and going with the protein!